Finding the time to workout has become the biggest challenge some professionals have. They still have this misconception of the need to go to the gym in order to burn calories and lose weight. Others don’t see the fun in lifting weights to shed the pounds off. Most of them just want to lose diet worked at some point. But without any form of exercise to burn those calories, the fiber ingested along with some health supplements won’t be enough to cut the weight down. There are others who will not buy an exercise equipment if it cannot calculate the number of calories burned in an hour. Or 15 minutes if time is really an issue. The fact that gym equipment is big and bulky enough for the counters, timers and other parts to be effective in shedding the excess weight off is enough to discourage individuals from depending on a fitness equipment to help them track their weight loss progress. That is until the arrival of VHOOP. The last thing fitness newbies will ever say about the VHOOP is “bulky” Or “heavy”, whichever comes first. 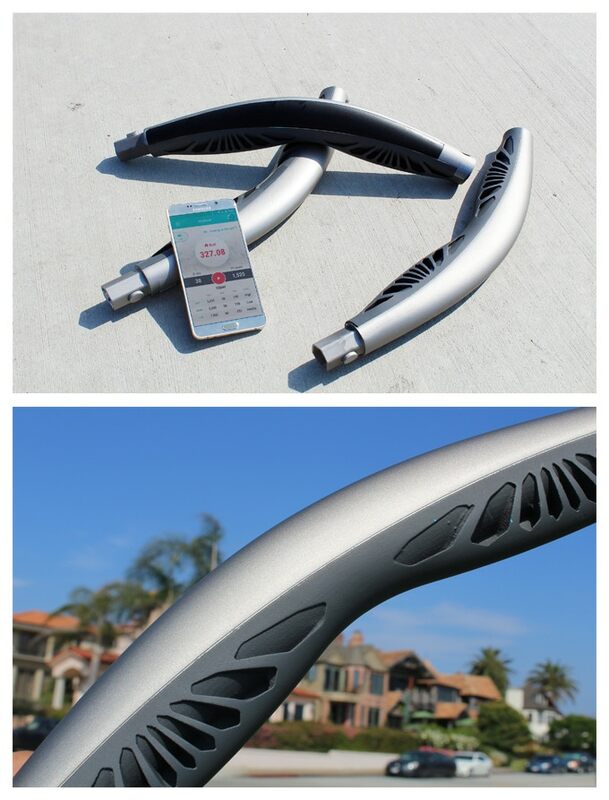 It is basically a hula hoop but with Bluetooth connectivity to any smartphone owned. 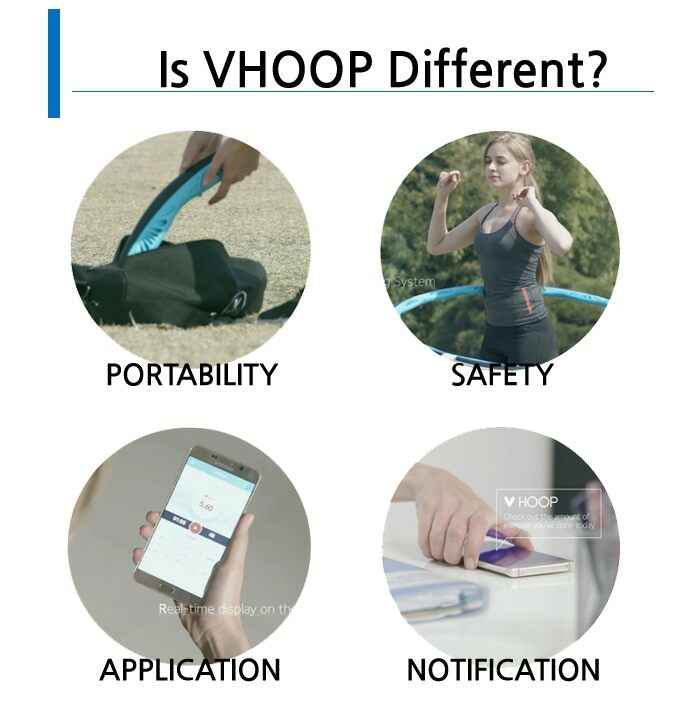 That smartphone is needed for the person to download the VHOOP app and connect it to the VHOOP equipment. It is like a conventional calorie counter app except that it has an actual fitness equipment to use as a basis for measuring calories burned. For readers familiar with apps that count calories burned, they might have had some time to exercise in the past. This is because most of these apps that track calories are working when these folks job. These apps work with earbuds connected to their smartphones. So the notifications can be heard in between upbeat music tracks. That situation made it easy to differentiate the VHOOP with other calorie counter apps online today. 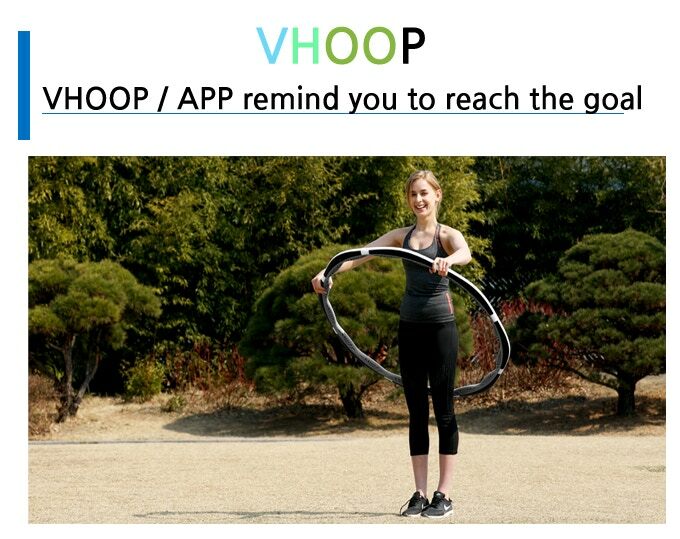 The VHOOP itself consists of 8 easy-to-assemble parts to form the hula hoop used in the workout. It has a little light in one of these parts connected to the sensors. Once the light turns on, it signals the person that the equipment is already connected to the smartphone. The easy way that it can be assembled and dismantled made it very convenient for most office workers to bring with them for exercising in between breaks. After awhile, the hula hoop feels like a warm-up exercise at home. This is when weights come handy. Fitness enthusiasts familiar with weight resistance training would be amazed how that fitness feature is infused in the VHOOP. They would appreciate the pellet-like weights that can be easily added in between two of the parts assembled. 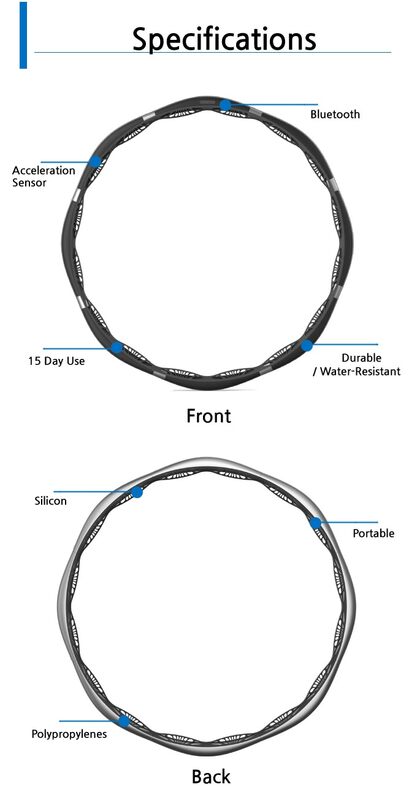 so if one would be using the VHOOP in the first 5 minutes of the routine, the 15 minutes that will follow would include the additional pellet in the equipment. It is an excellent way to apply weight resistance training around the waist for toning purposes. The VHOOP can be downloaded whether your devices is Android or Apple. This app works like a virtual trainer that tracks the calories burned. 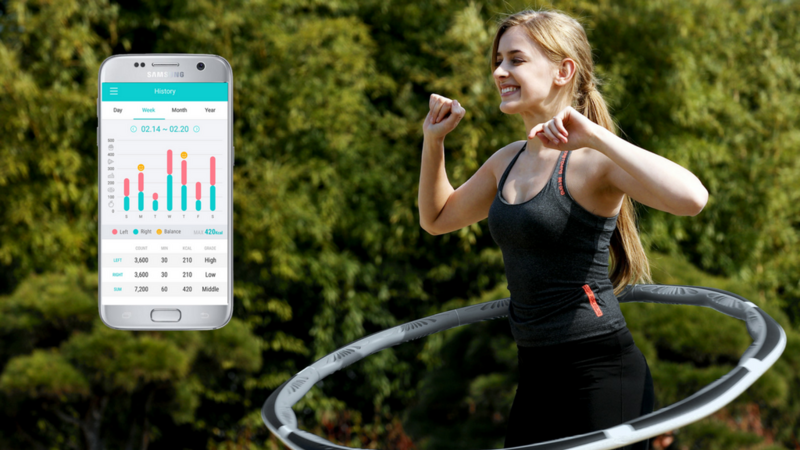 With the way, this hula hoop goes round and round the waist, it alerts the app of calories burned. This made the equipment safe to use even if the person working out is already sweaty between the waist and the hips. And it really works as a trainer with the way it notifies the individual whether it’s time to workout or if he or she has not yet achieved the calories quota of the day. Counting the calories will remind some “former” gym buffs of the devices connected to most gym equipment used for losing weight. With the VHOOP app installed in the smartphone, even if the equipment is stashed away in the bag, fitness buffs can still view the calories burned hours after the workout. This information stays in the history section of the app. So a series of workouts done continuously during the week will be stored in the app for viewing at any time available. And since this is an app, it can work like a game to challenge family and friends with. Similar to how Everwing tournament occurs on mobile games by inviting challengers to outpace each other’s scores, the VHOOP app can also show if an individuals calorie count has outpaced the calorie count burned of his or her friends. It brings out the competitive side in people while motivating more individuals to use VHOOP more. Soon, these people are motivated not only by the daily notifications but by the need to break records online even if it’s just between fellow fitness enthusiasts. VHOOP works best when an individual has both the equipment and the app installed on the smartphone. At first, it seems like the app can work independently from the equipment because of the records kept from previous workout sessions taken. But a person with a messed up smartphone might fail to count the calories burned as tracked by the equipment. 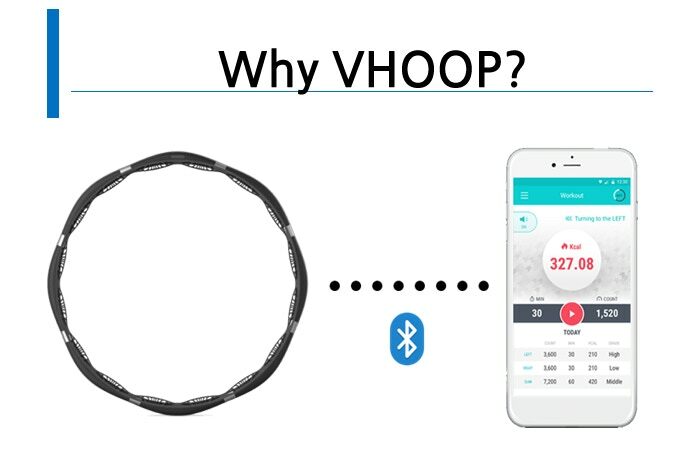 So even if a person has been using the VHOOP for more than 20 minutes, if the smartphone failed to record it from the sensors, it might not show up on the data history. In a nutshell, it is about the risk of some calories burned that might not be recorded. Early adopters of this hula hoop-base fitness technology enjoyed the way it fixed the imbalance in their bodies. At first glance, it may seem like child’s play, but the moment the calories burned get monitored through the VHOOP’s sensors, these individuals end up using the equipment more. Some of them have even compared the time spent on the VHOOP with the time spent on the treadmill except that it involves hip movement as opposed to walking that count impact the knee joints in a negative way. 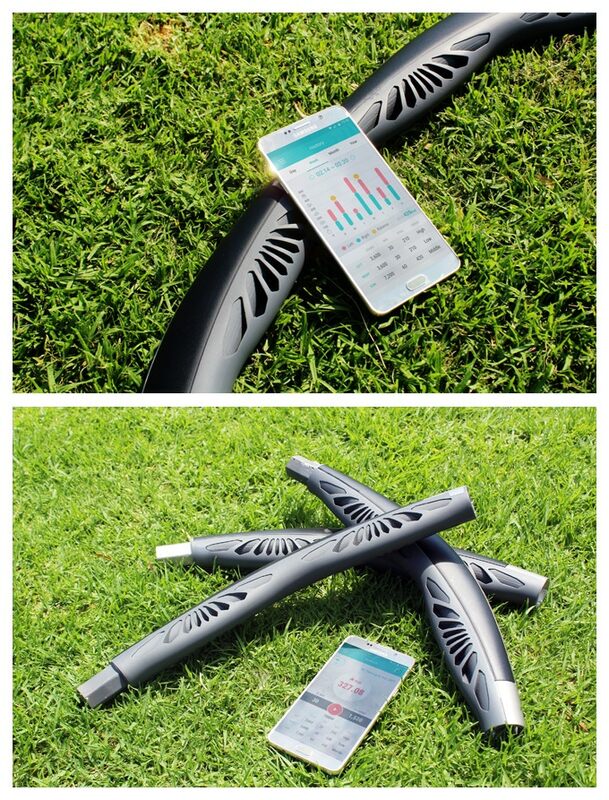 The VHOOP Fitness Package has an early bird version for fitness enthusiasts to grab on Kickstarter. 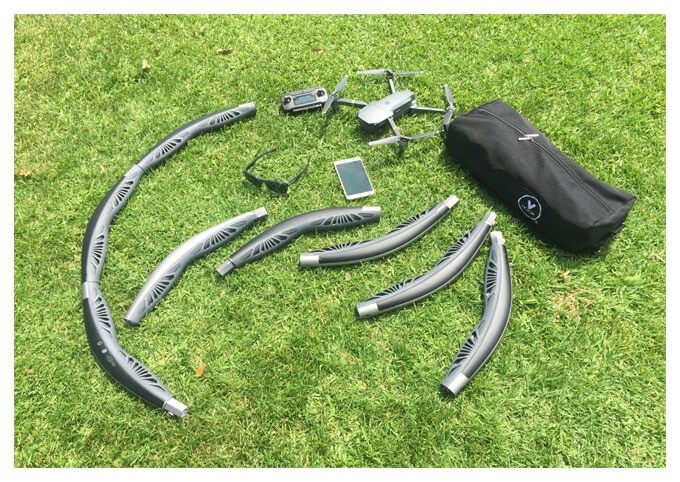 This kit includes the VHOOP 8-part equipment, the weight to be added in between pieces for better resistance training, a USB cable, and a carrying bag. All for only $69. The Family Kit is available for groups of 4. So it has 4 sets of the VHOOP Fitness package that can be bought in one fell swoop for only $279. It is a real value to take advantage of while supplies last.